A few weeks ago I had a chance to interview Kamal Manglani for Projects at Work. 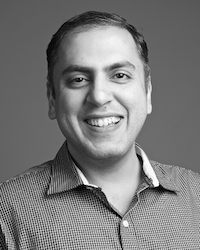 Kamal is an Agile coach who has written a book, The Apprentice and the Project Manager, that was recently released on HappyAbout. The book includes a narrative based in the past and the present. Stories from earlier work experiences as an apprentice mechanic and current experiences working as a technology project manager are used as a metaphor to explain some key concepts that factor into Agile and Lean. Explaining an Agile process/framework as a call and response narrative is not a new approach, but what is unique and refreshing about Kamal's book is that in taking a practical approach to getting work done and coping with very specific situations, the author has made a choice to steer clear of promoting one method over another and just kept it to a very pragmatic, straight up approach. If you are new to Agile and/or Lean, this book would be a great starting place to introduce some of the key concepts without drowning you in jargon and trying to sell you on having found "THE WAY". 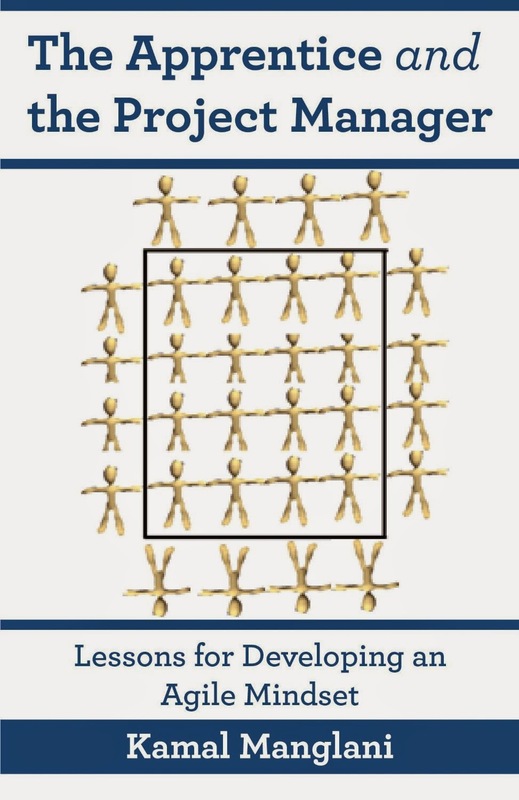 When I interviewed Kamal we discussed the book and he mentioned that one of his goals in writing it was to provide a unique perspective on Agility that crossed the boundaries of different areas within an organization (like Quality, Security and Infrastructure) in a way that would make it easy for executives to see how Agile and Lean could help them take advantage of opportunities. For me, as someone who has spent a lot of time working in both traditional project management and in Agile, my favorite section of this book was the chapter on Financial Health. It is great to see a book for people who lead projects include an easy to understand explanation of why it is so important to factor finance into our decision making process and how to go about doing that in a responsible manner. You can check out The Apprentice and the Project Manager at HappyAbout. Back in December Jim Benson posted an entry to the PersonalKanban blog site called Are You Just Doing Things? 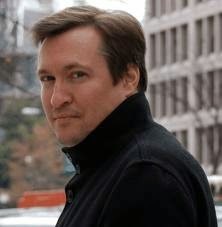 In reading through his post, I started to wonder about how I was using Personal Kanban. It had been a year since I started my experiment and while I am not as fervent with it as I once was, I’m still using a board at home. One the road… I’m still looking for a viable option. But more on that later. In this Projects At Work interview I got a chance to ask Jim some questions about putting items on the board just so you have a record of them and can move them over. At what point does that become a wasteful step. As always, Jim’s feedback led me to thinking about my practice of PK in a completely different way than I had in the past. I still find that one of the most interesting aspects of using Personal Kanban (which I have not found with other productivity practices) is that there is the doing of thing and the learning about how you are doing things. The insight provided by the latter continues to prove to be the more valuable part of working this way. For me, putting everything on to the board does mean that I am putting up stuff just to move it over. This does create some waste. But it also helps me become more aware of the fact that I am overloading every day/week all the time and still trying to plan more in than could be done. Yes, I need more discipline in how I work. (Who doesn’t?) But the discipline is not needed as much in how I work, as it is in what work I assign myself in the first place. Reducing or limiting what I put in my backlog should make it easier to get more done, but only if I can maintain the discipline to actually stick to my board and not keep including items that are not up there and taking them as items to work on. The more I work with PK, the more I discover that it isn’t so much about getting things into the done column, or clearing out a backlog as it is about raising my awareness of how I think about and approach my work. It is a more mindful way of planning and managing what I have to do. 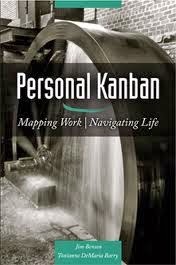 If you'd like to learn more about Personal Kanban, you can find the book here. You can find Jim on Twitter here.